Ustream is proud to announce the Featured Ustreamer series, a weekly spotlight on the broadcasters that are such an important part of who we are. 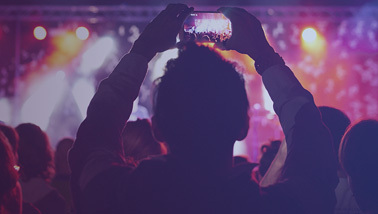 Without our broadcasters, we would just be a live video player; they provide the amazing, unique and ever-interesting content that makes Ustream awesome. 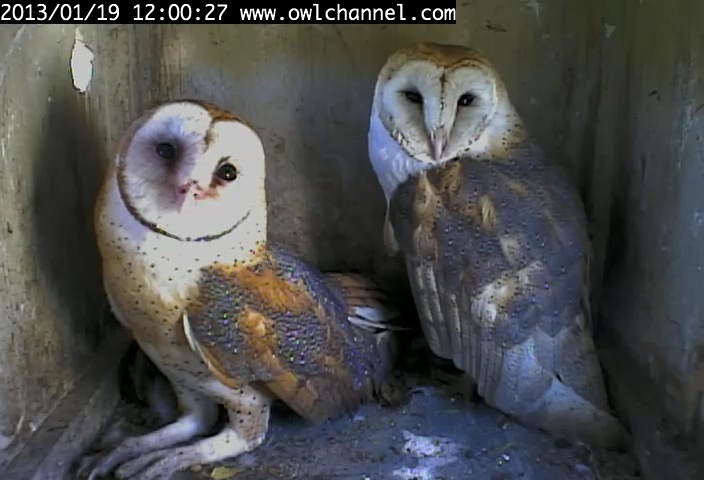 For our first post in the series, we are featuring Owl Channel, three 24/7 cam featuring wild barn owls from Southern California. 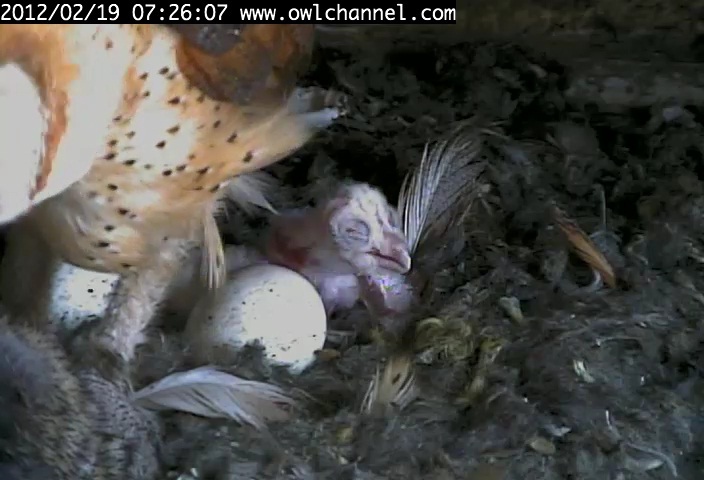 They’re currently awaiting four bouncing baby owlets, making this the perfect time to grab some popcorn and watch the nesting and hatches unfold. Broadcasters Mike & Angela took some time to talk to us about why they love sharing their owls with the world on Ustream. Check out their interview and some amazing pictures below. Ustream: How long have you been broadcasting on Ustream? Is this your only channel? Owl Channel: We have been broadcasting on Ustream for 2 years now. We started out with one channel and now have three: www.ustream.tv/owlchannel www.ustream.tv/owlchannel2 and www.ustream.tv/owlchannel3. U: How did you hear about Ustream? What made you decide to start broadcasting? OC: We heard about watching live streaming on the Internet from friends and found Ustream. We started broadcasting because we wanted to share the wonderful and amazing footage we were getting with the world. U: What is your favorite thing about broadcasting on Ustream? OC: The fact that Ustream provides a means to broadcast live is terrific. If this was a business instead of a hobby for us, we would get a Pro-broadcasting account and broadcast commercial free. I have to mention how awesome the Ustream customer service is. They have been nothing short of outstanding. U: How has broadcasting on Ustream impacted your community? 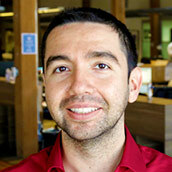 OC: Broadcasting on Ustream has enabled a vast online community to get connected using social media. The chat room enables people to communicate in real time as they watch the live streams. From there, external links are provided to share pictures, recorded video, educational information, etc. We ensure the chat is G-rated so people of all ages can enjoy. U: What makes your broadcast unique? 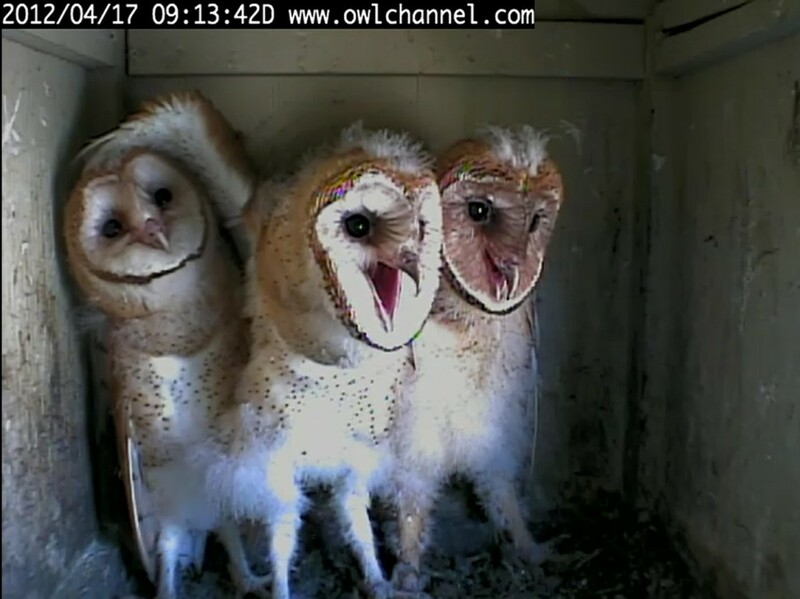 OC: Our broadcast is unique as we are streaming wild barn owls live from our backyard. We have cameras inside and outside of the nesting box. We see everything they do around the clock. We see them eat prey such as mice, voles, gophers, rats and rabbits. They will regurgitate their prey as pellets and then break it up for nesting. The owls will lay eggs 1 to 3 times a year and then feed and raise the owlets until they leave the nest. We have witnessed many wonderful things here. 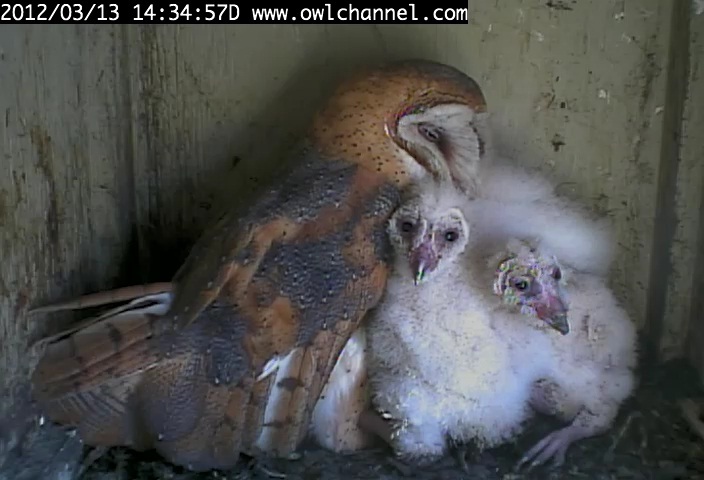 We have seen a pair of owls meet for the first time, go through a courtship, bond and then have a clutch of owlets. U: What’s the best live moment you’ve captured live on your channel? OC: We have many priceless moments since we are live 24/7. It is amazing to watch them eat, lay eggs and fly for the first time. The best moments have to be when we see the eggs hatch, though. U: What’s the number one tip or word of advice you’d offer to other broadcasters? OC: The number one tip I have for broadcasters is get a good team of moderators to handle the social stream. We are very fortunate to have top notch team. The chat is always paused unless there is a moderator present to ensure the G-rated standard. The moderators answer questions and provide external links for everyone to follow as well as engage the chatters with interesting conversation. U: Anything else we should know? 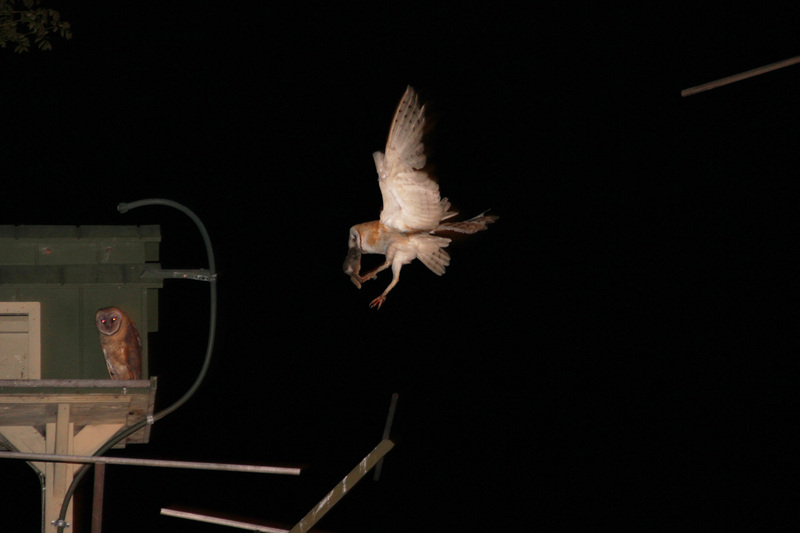 We named the first pair of barn owls that occupied the owl box Bonnie and Clyde. They were followed by the current pair named Roy and Dale. 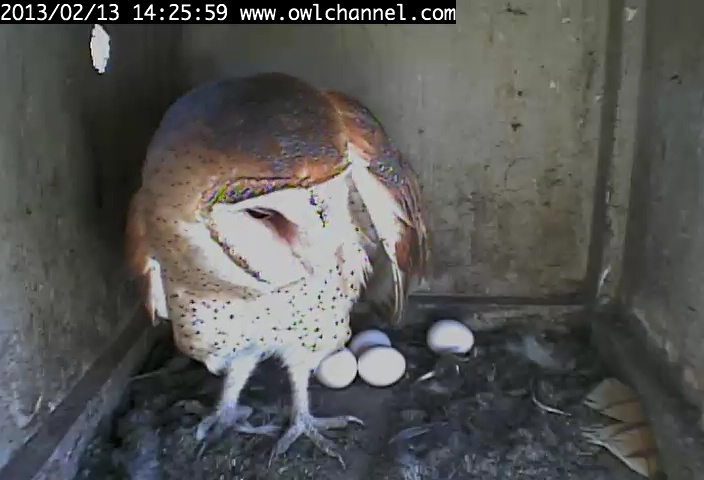 Our website www.owlchannel.com has lots of pictures and information about all of our owls and the clutches they raised and also provides a live streaming page made possible by Ustream. We also have a campaign to raise donations to keep the stream going at http://www.indiegogo.com/projects/watch-barn-owls-live/x/902599.